One of the most rigid and conservative groups in South Korea is slowly changing: the military. Upon announcing a comprehensive military reform plan last year, the Defense Ministry has been implementing unprecedented policies out of respect for the rights of rank-and-file soldiers. A recent policy the ministry is moving to implement is allowing its conscripted soldiers to use their mobile phones inside the barracks, albeit for a limited number of hours a day. 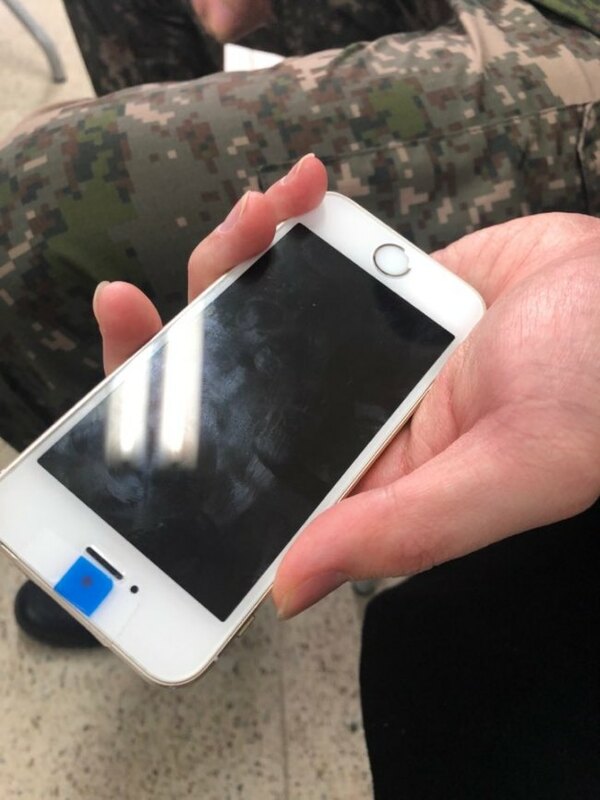 While it is unimaginable for civilians in one of the most wired countries in the world to live without mobile phones for even a day, conscripts in Korea are basically banned from possessing or using mobile phones inside the barracks during military service terms that typically run for about two years. The ministry started a pilot program in April 2018 in a bid to change the country’s strict, closed-off military culture. 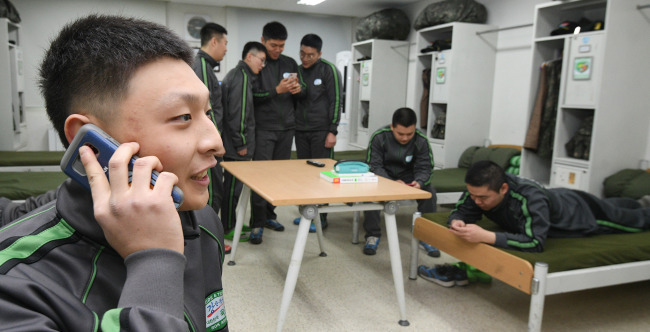 First, 400 rank-and-file soldiers at four military bases were allowed to use their mobile phones. After work hours, the soldiers could use their personal mobile phones from 5:30 p.m. to 10 p.m. on weekdays, and from 7 a.m. to 10 p.m. on weekends. After receiving positive feedback from the participating soldiers, the ministry expanded the trial to 7,000 soldiers in August, and 380,000 soldiers will be able to use their mobile devices by April this year. By July, the ministry aims to implement the policy for all soldiers. While the strict discipline of military life is understandable since a soldier’s duties involve matters of life and death, the hierarchical culture has until now subjected conscripts to near-total control. Under the country’s conscription laws, all able-bodied men of Korean nationality between the ages of 18 and 38 are obligated to serve in the military for about two years. Once they enlist, their actions are heavily restricted, and they are basically cut off from the outside world for reasons of security and military discipline. Unless the military authorizes a vacation, they are essentially forbidden from leaving their barracks. But starting this month, they will be allowed to leave their barracks after work twice a month as long as they return before roll call at 9:30 p.m. Still, they have to turn in their mobile phones and other devices that connect them to the outside world, depending mostly on handwritten letters to communicate with family and friends. In light of the widespread view that such strict control is necessary to maintain order in the military, the ministry’s new mobile phone policy has triggered mixed responses. A 27-year-old cadreman who did not want his name revealed expressed worries that if military service were to become too easy, conscripts could view it as being like the Boy Scouts. 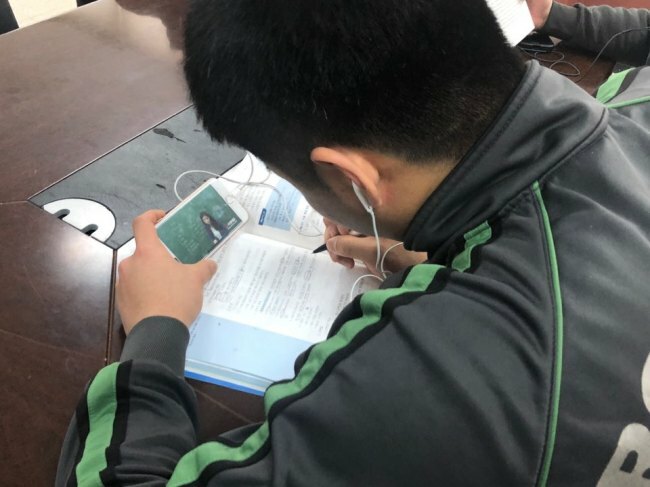 “There are security concerns, and the soldiers would spend less time together and be occupied with their phones (during their free time),” he said. While he can already use his mobile phone because he is a commissioned officer, his soldiers still fall under a prohibition that is expected to be lifted in April. Rep. Ha Tae-keung of the center-right Bareunmirae Party criticized the new mobile phone policy Jan. 17, writing on Facebook that the military was “mentally disarming” itself. “Only if the military remains the military, with abstinence, can (soldiers) foster patience and learn the ways to care for their seniors and juniors. If life inside the barracks is too comfortable and is no different from life outside, their time there is meaningless,” Ha added. But Ha quickly withdrew his remarks and apologized after a public outcry. In the face of divided public opinion, the Defense Ministry has embarked on a path to change military culture and allow more autonomy among its soldiers -- a move to respect the soldiers as individuals who can take responsibility for their own actions. As the new policy has yet to be implemented at all military bases, most conscripted soldiers still have to use the telephone booths in the barracks, sharing a few booths with some 100 of their peers. Or they can use internet cafes or write letters. At the end of 2015, the military for the first time distributed mobile devices that could only receive incoming calls. One device was allotted to each living quarters, meaning 10-16 soldiers had to share it, yet the new policy was hailed by the soldiers. At a policy conference held Jan. 31 in the Tiger Division, where a pilot cellphone use program has been underway since August, soldiers welcomed the change. “With a mobile phone, I can take care of my personal work and send the necessary paperwork for my school,” Cpl. An Young-jun, 25, told The Korea Herald. He said he was also happy to be able to speak with his girlfriend every day after work. During the conference, hosted by the Defense Ministry, parents with sons in the military also expressed support for the new policy. “My son (while fulfilling his military service) was injured in December, and I was very worried. But I learned how he was doing right away by mobile phone. It was a relief to be able to hear about my child,” said Kim Min-hoe, whose son is a corporal. Seon Jung-hee, the mental health counselor attached to the barracks, explained that allowing mobile phones inside the barracks had had a positive influence on the soldiers’ mental health. “One of the hardest things for the soldiers is that they are cut off and isolated from society. Before the policy was implemented, there had been (soldiers) complaining of depression and suicidal feelings, but the number of such cases has dropped since the implementation of the policy,” Seon said. Aspiring rapper Song Hyun-ho said the biggest benefit from the new policy was that he could develop his skills and prepare for the future as well. “I can listen to music in my free time and also take a lot of music composition lectures on YouTube,” Song, a private first class, told The Korea Herald. Despite the positive comments, the issue of military security remains. On the possible leakage of classified information about military bases, the Defense Ministry said it was developing an application to disable the devices’ camera and voice-recording functions. Concerns have also been raised that the use of mobile phones inside the barracks could reveal the locations of military bases that are not visible on satellite views offered by commercial service providers, such as Google Maps. In response, the ministry said its application would also block global positioning systems. However, with development of the application unlikely to meet the March completion deadline, the ministry has distributed stickers to the soldiers to place over their camera lenses as a temporary measure. Soldiers participating in the pilot program also had to register their mobile devices with the military. The Defense Ministry is also consulting with telecom operators to devise new subscription plans for the soldiers, who can only use their mobile devices for a limited number of hours. “I am currently using an unlimited data plan that costs me about 55,000 won per month ($50). But I only get to use the mobile for a limited number of hours each day, so I hope new mobile subscription plans are introduced to reflect the usage patterns of soldiers,” Pfc. Lee said. Kim Ki-don, a member of the government’s military reform advisory committee, said the mobile phone policy was meaningful in that it signaled a change to the rigid military culture. “The policy shows that the military’s perspective on its soldiers is changing. Instead of viewing them as subjects of control, it is now seeing the soldiers as independent and mature beings who can make choices for themselves and take responsibility,” Kim said.